This agreement is generally not a contract to build but you should check that this is the case. 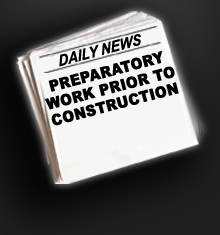 The written agreement should also set out the type of preparatory work that will be done for you. This may include general inspection of the block to note any special requirements that need to be taken into consideration or consideration of the site conditions and the likely costs of preparing the foundation. Other factors that should be considered include preparation of any special structural engineering details and preparation of detailed drawings and specifications. It should also be noted that some Preparation of Plans Agreements allow the builder to make applications for a local authority building license and for Water Corporation approval. Consider before signing whether you want to incur the expense of such approvals at this stage, or delete this clause and check that these tasks form part of the building contract. Rear Setbacks - ensure the new dwelling has a useable outdoor area in the backyard. Once planning consent is received, full working drawings and construction information can then be prepared and submitted for Building Rules Consent and full Development Approval. As the information required to submit an application can be quite extensive it is advisable that an appropriate professional assist to ensure that the information supplied is comprehensive and complete. This will ensure that the application process occurs smoothly and approval can occur in the least possible amount of time. Applications to planning are often made by either the builder or by using a Development Consultant. 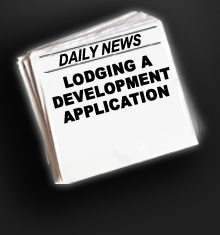 During the initial stages of the development application process the builder may not have been chosen. In this case the Development Consultant may assist with processing the application and provide guidance with evaluating and negotiating with the builder once approval has been given. as well as all the relevant government agencies and authorities which provide utilities and services to the block ( e.g. SA Water, ETSA, Transport SA). The Council and relevant authorities will then determine what requirements they may have in respect to the application and forward their comments back to DAC for further clarification or amendments. Before considering whether to develop your property it is essential that you have an understanding of the current value of your property. This will allow you to compare any gains in value as a result of the development process and determine which options will maximise your returns. There are a number of ways to determine the current value of your property, however the most common method is to compare your property to recent sales in your area and make any adjustments to value due to items included or not included in the comparison property. Many homeowners may determine the value of their properties by looking at other properties available for sale in their area. However this method may not give the most accurate estimate as often the price that properties are marketed for do not necessarily represent the actual price that the property is sold for. Many local real estate agents offer a no obligation free appraisal of the current value of your property. Agents will provide you with properties which have sold in your area, including the price it sold for and the number of days the property was on the market. This value can be then used as a suitable starting point prior to embarking on the development process. If your intention is to subdivide your property to allow you to build multiple dwellings then an application must first be made to the Development Assessment Commission (DAC). As the requirements for land division plans are very specific most applications for land divisions are prepared and submitted by a licensed surveyor on your behalf. If the land division relates to houses that you intend to build on the land it is recommended that you lodge a Development Application for the proposed development with the Council prior to lodging an application for land division with DAC. This will demonstrate that the newly subdivided blocks are of the appropriate size, shape and orientation to cater for your intended purpose.